FrogWatch USA was created in 1998 by the United States Geological Survey (USGS) as a contributory Public Participation in Scientific Research. 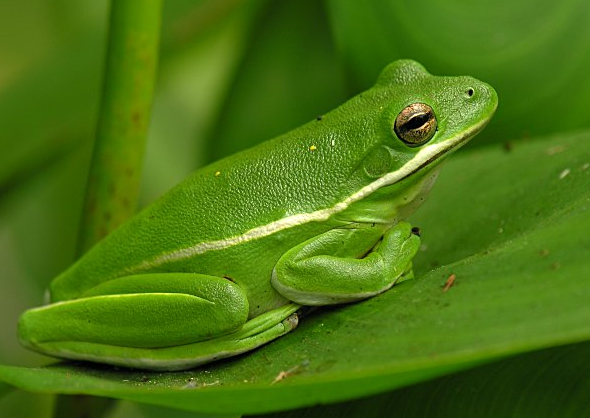 In 2009, the Association of Zoos and Aquariums (AZA) assumed management of FrogWatch USA as part of its long-term commitment to amphibian conservation. This form of "citizen science" enables everyday people to get involved in formal conservation efforts just by committing to listen and learn in their own backyards. FrogWatch USA is the AZA's flagship citizen science program that invites individuals and families to learn about the wetlands in their communities and help conserve amphibians by reporting the calls of local frogs and toads. Volunteers are the foundation of the FrogWatch USA community. Over 2,000 amphibian species are currently threatened with extinction and many more are experiencing sharp population declines. Monitoring through FrogWatch USA can be an enriching experience that allows one to connect with nature and also contribute to amphibian conservation efforts. BREC's Baton Rouge Zoo chapter will be hosting 2019 training sessions on the listed dates and welcomes volunteers to get involved. Interested parties should complete the form below. Please send any questions to frogwatch@brzoo.org.